Ingredient List: Mica, Mineral Talc, Jojoba Oil, Kaolin Clay, Magnesium Stearate, Phenyl Trimethicone, Tridecyl Trime-llitate, Phenoxyethanol. May contain: Mica and Titanium Dioxide (Ci 77891),Iron Oxides, Chromium Hydroxide Green(Ci 77288) , Chromium-Oxide Greens(Ci 77288), Manganese,Violet-(Ci 77742), Ultramarines (Ci 77007), Ferric Ferrocyanide (Ci 77510),FD&C Red 40 Al Lake (Ci 16035), FD&C Yellow 5 Al Lake (Ci 19140), FD&C Blue 1 Al Lake(Ci 42090). 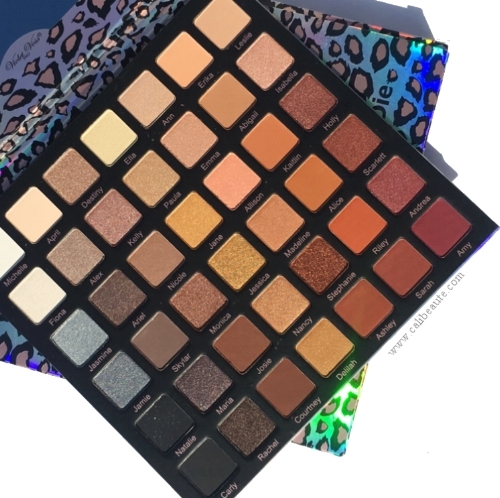 The palette is filled with eyeshadows that are named after popular girl names, your “Ride or Die” friend and each pan is full size. 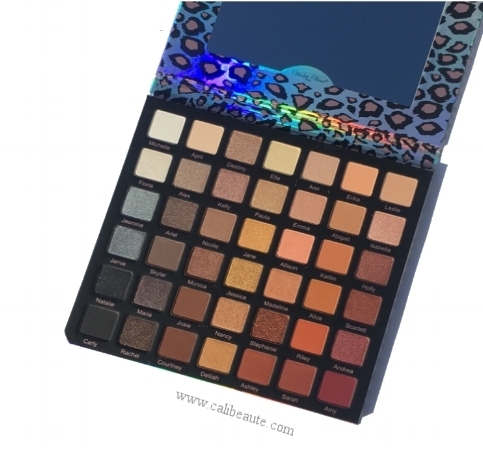 The palette currently retails at a special price of $68 although the full retail price is $75. It comes out roughly to $1.61 per eyeshadow and the purported retail value is $252 if the shadows are sold separately. Not bad! The palette is quite large as you can imagine. In fact, it is the largest eyeshadow palette I’ve ever purchased. It is not ideal for travel. However, it has a range of shades with a range of so many beautiful finishes. I especially love metal finishes. They are so beautifully pigmented and creamy. 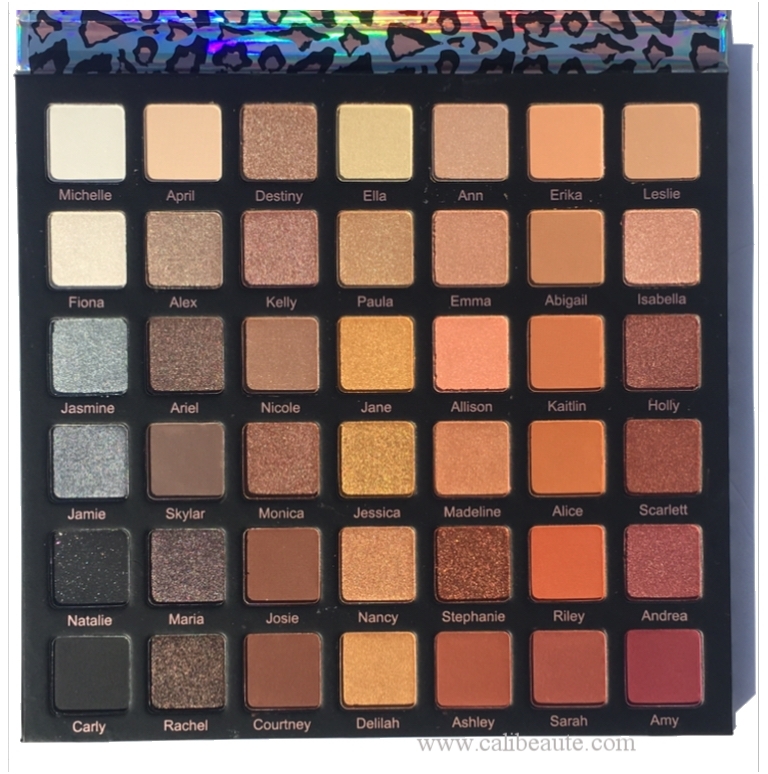 Are they on par with the quality or Natasha Denona shadows? Not quite, but they perform very well and the price is a steal all things considered. The palette contains very wearable tones that I know I can use to create looks for both day and night. I’m living for the color Stephanie! It’s a beautiful warm copper that is reminiscent of one my favorite eyeshadow colors from MAC-Antiqued. Swatches of all eyeshadows were taken in direct sunlight, in order from rows 1-6. 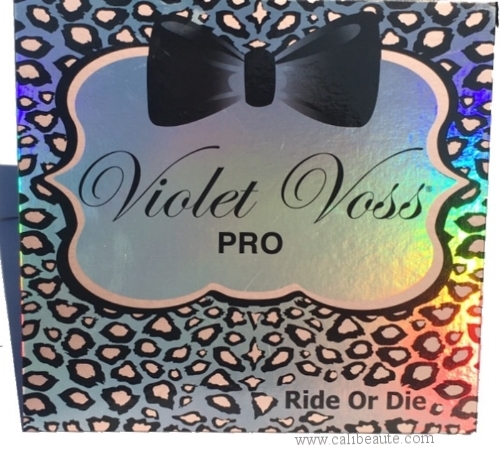 The Violet Voss Ride or Die Palette is a limited edition palette that currently retails for $68 and is currently available on their site here. Will you be picking this up? The links contained in this post are not affiliated and all thoughts are honest and expressly my own.